Located in the sierra foothills, Placerville Bike Shop offers a complete line of ROAD, MOUNTAIN, and CHILDREN'S BIKES. Placerville Bike Shop has been owned and operated by Bob Molinari and his family since 1977. Two of Bob’s sons, Jeff and Andrew, currently work at the shop full-time. The whole Molinari family shares a passion and love for bicycles at the workbench and out on the trails. 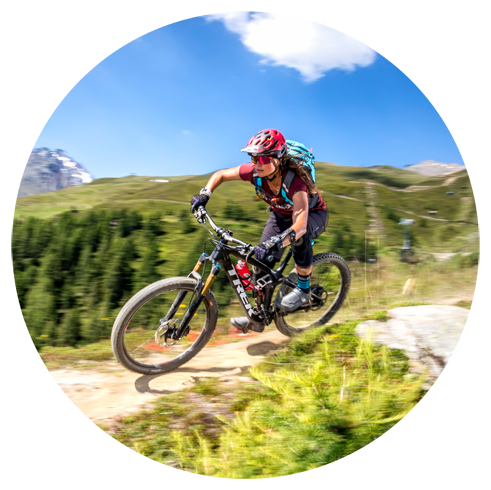 We carry bikes, gear and accessories from some of the top bicycle manufacturers. Follow the corresponding links to learn more about their products. A “Fit” Service is one-on-one time spent with our Fit Specialist to make an existing bike or a new bike fit correctly for optimal riding. This service will not only help improve your riding abilities, but will focus on addressing any comfort issues you may have had while riding. Many common problems are numbness in hands or feet, saddle soreness and pain, shoulder or back pain, knee pain, and all around comfort on the bike. Come discover the historic, quaint town of Placerville. We can provide you with the right bike for your ride, at a reasonable price. Newly completed sections of the El Dorado Trail (MAP IT) allow riders to explore various parts of town. The section east of town, mostly paved, follows the old railroad track grade all the way up to the southern tip of Apple Hill. It is a decent uphill all the way to the turn around, with a scenic downhill ride all the way back to town. • Hybrid mountain bike, step-thru design with smooth tire tread. *Basic casual cruising only, not intended for off-road trails. All rental bikes come with a helmet. A valid credit card and drivers license are required for our rental bikes. By submitting the form you will automatically be added to our regular email contact list. This is to keep you informed of rides, specials and community events Use the form & we'll be in touch.